South Dakota School of Mines & Technology and Dakota State University researchers are combating the online sale of counterfeit goods and art. Researchers went to part of the internet called the “dark web,” where online traffic can’t be easily tracked, and purchased items suspected to be counterfeit and then subjected the items to laboratory testing and found non-genuine components in the products. South Dakota School of Mines & Technology and Dakota State University researchers are working with a team of officials and scientists to help combat the online sale of counterfeit goods and art. 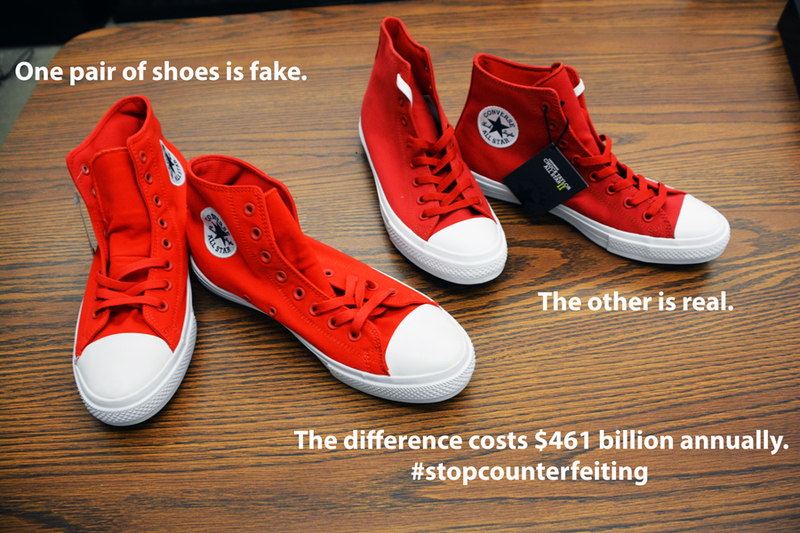 According to the Organization for Economic Co-operation and Development (OECD), the global value of counterfeit goods climbed to a staggering $461 billion in 2013. These items range from tennis shoes to medicine to artwork. Researchers with The Center for Security Printing and Anti-Counterfeiting Technology (SPACT) at Mines first purchased items, including tennis shoes and Native American jewelry, from accredited websites. They then went to part of the internet called the “dark web,” where online traffic can’t be easily tracked, and purchased similar items they suspected to be counterfeit. They subjected all items to laboratory testing and found non-genuine components in the products purchased on the dark web. Project findings were presented at the 2017 Research Experiences for Undergraduates Symposium in Alexandria, Va. on Oct. 22-23 by Dakota Earle, a student from the University of Albany. Earle spent the summer at Mines working on the project thanks to the National Science Foundation-funded Research Experience for Undergraduates (REU) program. Officials believe several factors have led to the explosion of illicit manufacturing, including the growth in e-commerce and direct-to-consumer currier delivery services. Officials point out that counterfeiters have developed a unique online ecosystem that enables the sale of illicit goods anonymously. To better understand these systems, Ashley Podhradsky, Ph.D., a cyber security expert at Dakota State University, conducted a forensic cyber analysis of traffic on the dark web. 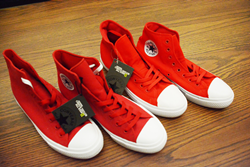 Her analysis found significant dark web traffic and suspicious labeling from sites selling counterfeit items. Podhradsky said that “as digital crime moves towards the dark web, we must ensure our digital forensic skills include TOR artifact identification and extraction.” The Onion Router (TOR) is a web browser commonly used for accessing the dark web. Researchers also purchased and tested products labeled as Native American art. According to officials with the U.S. Department of Interior, the market for Native American art and craftwork exceeds a billion dollars each year. The Indian Arts and Crafts Act of 1990 prohibits the sale of fraudulently labeled Native art, but the sale of counterfeit Native art and jewelry is becoming an increasing concern for many tribes in the United States. Counterfeit Native art is often manufactured overseas and sold online to individuals and sometimes art dealers. Tribes in the Southwestern part of the United States have been exceptionally hard-hit. In February, a federal grand jury indicted five people for allegedly trying to sell more than $300,000 of Filipino-made jewelry labeled as Native American-made. Southwestern tribes are not the only Native nations to face this problem. “As Lakota art becomes more popular, it will be counterfeited more often, if it isn’t already,” says SD Mines professor Jon Kellar, Ph.D., and director of SPACT. Kellar worked with Grant Crawford, Ph.D., associate director of SPACT and an associate professor in Mines’ Department of Materials and Metallurgical Engineering. “There are hundreds of Native families who generate a significant amount of their income from the sale of authentic Native Art here in the Black Hills. We need to protect that economic engine,” says Crawford. “Members of the public need to understand that counterfeit art hurts the economy, and hurts local Native artists,” he adds. In the future, researchers would like to conduct a longer-term study and a deeper cyber analysis to better understand dark web traffic and how it is used to sell illicit goods.